So there is such a thing as a free lunch! 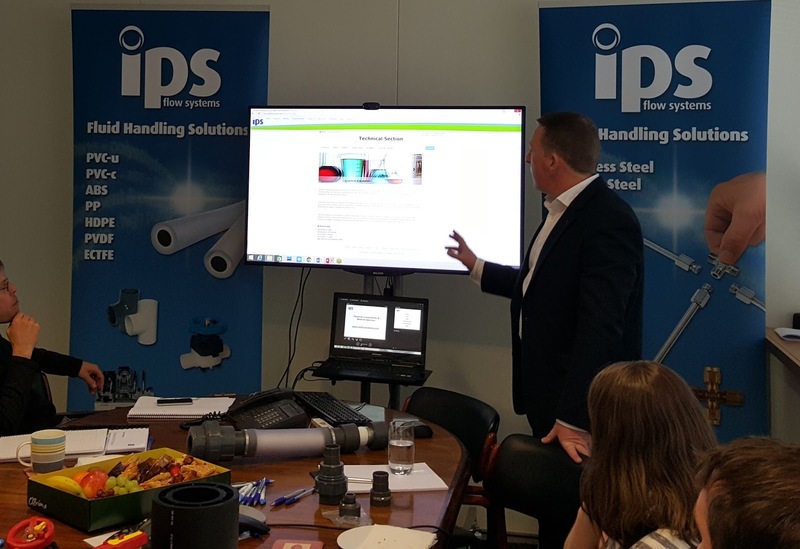 IPS Flow Systems has recently presented a series of Lunch & Learn seminars to the Water consultancy and contracting sector in Ireland. The subjects covered included Material Selection & Chemical Compatibility in Municipal Water Systems and Environmental Protection through Double Containment Systems in Dosing Plants. The Seminars formed the basis of round table discussions with contracts managers, engineers and project managers on innovative solutions to common problems in the Municipal Water Sector. IPS are very keen to collaborate with clients on challenging applications. One key system that was enthusiastically received was DuoSafe FLEX. DuoSafe Flex is engineered for applications where long, continuous lengths of small diameter double contained pipe is required. It is ideal for point to point dosing applications in water treatment where there may be multiple dosing points drawing from a single chemical storage unit. The system uses high quality flexibles that are manufactured as double contained products in a single extrusion process. They are supplied either in standard coil lengths of up to 300 metres, or may be cut to specific shorter lengths or specially manufactured in longer coils should the job require it. Connections between lengths or at termination points are made using a special range of rigid PVC-U fittings.